Preheat oven to 350 degrees F (175 degrees C). Bring a large pot of lightly salted water to a boil. Pour in pasta and cook for 8 to 10 minutes or until al dente; drain. In large bowl, combine macaroni, soup, milk, cheese and 6 tablespoons butter. Pour into 9x13 baking dish. Top with bread crumbs and dot with remaining butter. Bake for 45 minutes or until golden brown and bubbly. 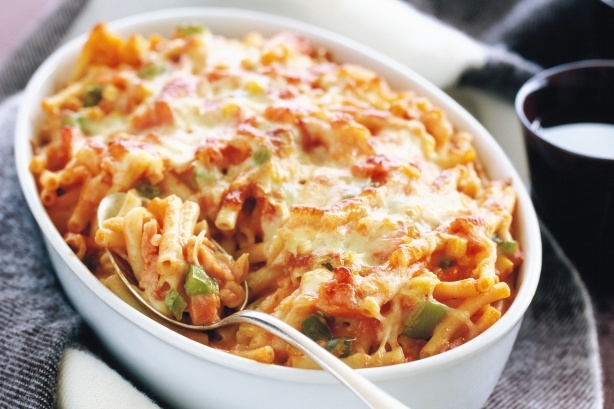 No comments for: "Baked Macaroni and Cheese with Tomato Recipe"